I recently learned that a friend who had been patiently awaiting a child became a parent practically overnight. When I heard about this loving couple bringing home their first baby, it really got me thinking about how to celebrate adoptive parents. We have experience with adoption in my own family. A beloved family member came to us courtesy of adoption and I wonder if her parents were celebrated in the way they should have been. I was just a baby then, but if her arrival happened today, you can bet I would be on their doorstep with special surprises and offers of help. 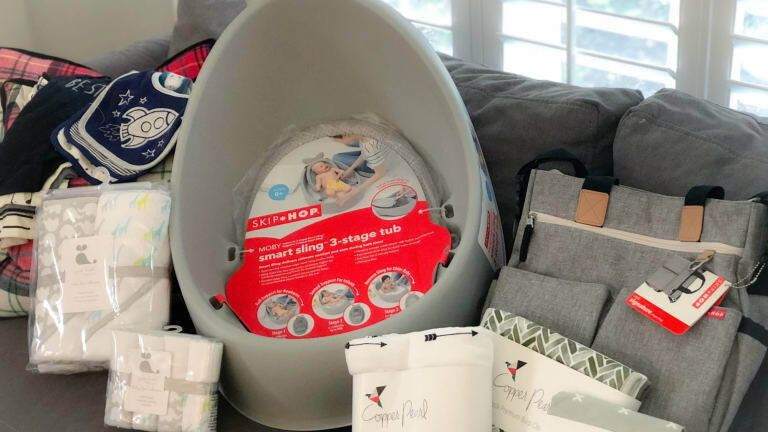 Gear them up...You can put together a proper shower once the new parents have their footing, but in the meantime, reach out to your friend or family member and ask them what&apos;s on their wish list. And if you&apos;re a seasoned parent yourself, it wouldn&apos;t hurt to throw in a few of your go-to baby products. Then show up on their door with your collection of goodies and let them know you&apos;re there if they need you. I&apos;ve included a few of my favorites below. Onesies: New parents won&apos;t believe how many onesies they will go through. They can never have too many in my book! 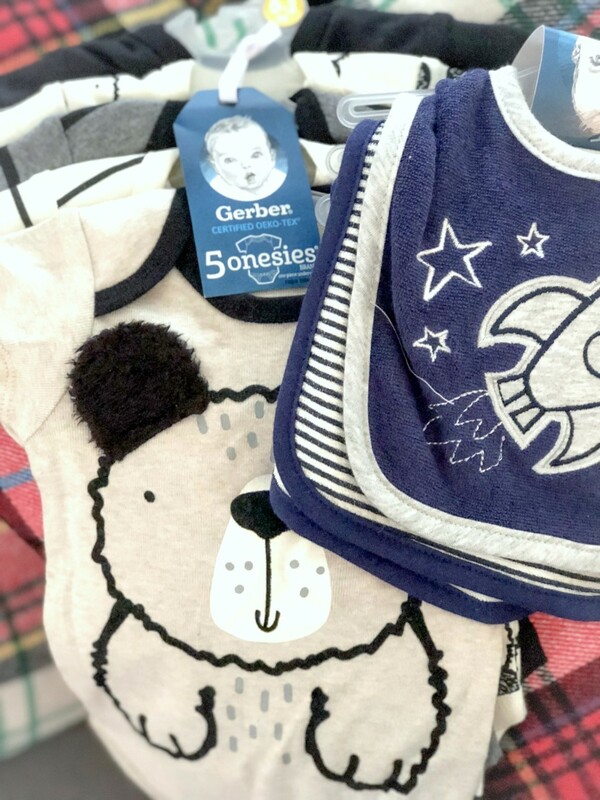 Gerber Childrenswear can always be counted on for cute and comfy onesie and bib options At the affordable prices, they won&apos;t mind the inevitable stains. Haha! I used to go through several onesies a day! Burp clothes: I always used Gerber cloth diapers for my everyday at home burp pads, but I liked to keep a few special burp clothes on hand for when company came over or we left the house. 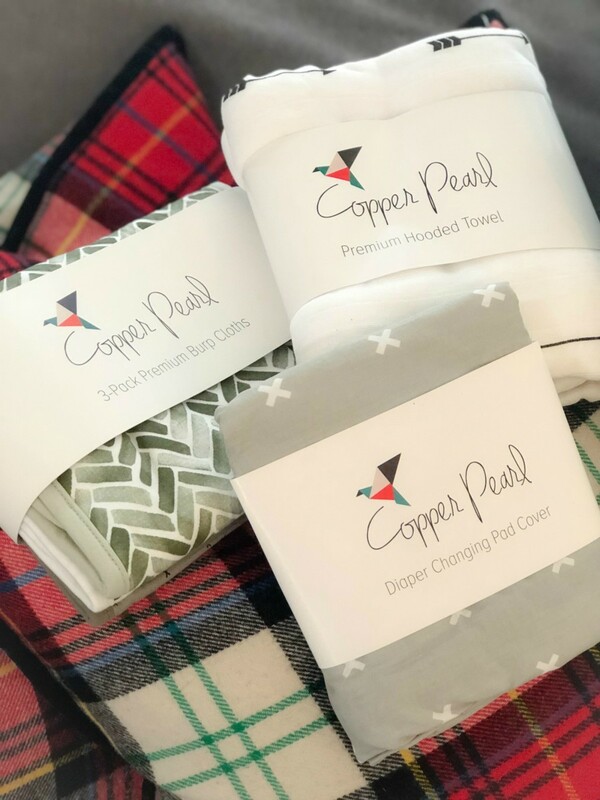 Copper Pearl burp cloths come in gorgeous prints and are super absorbant thanks to an inner fleece layer! They also offer changing pad covers, hooded towels, blankets and more! Baby towels and bathtub: Aborbant (yes absorbant again, it&apos;s important! ), towels and a portable bathtub are must haves. 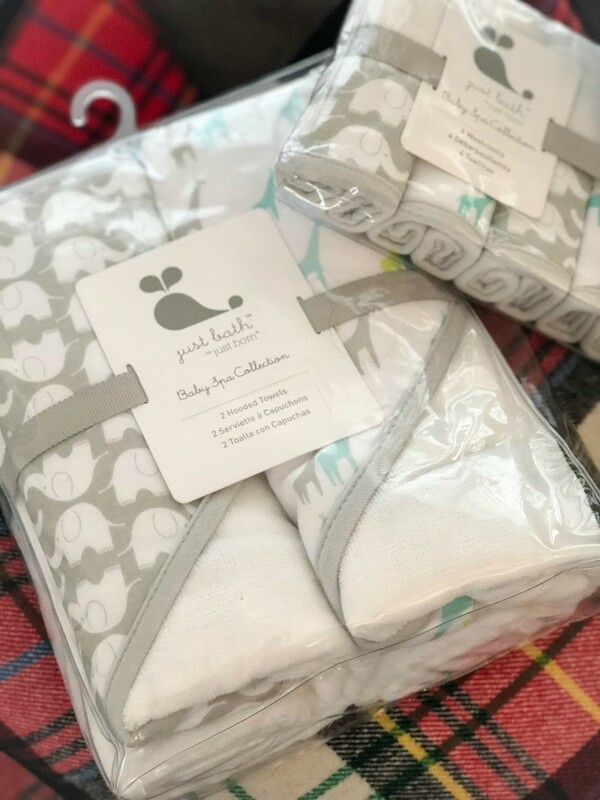 I love Just Born towels because they aren&apos;t too thin and are super soft. You want a towel that&apos;s going to dry baby quickly and not irritate their delicate skin. 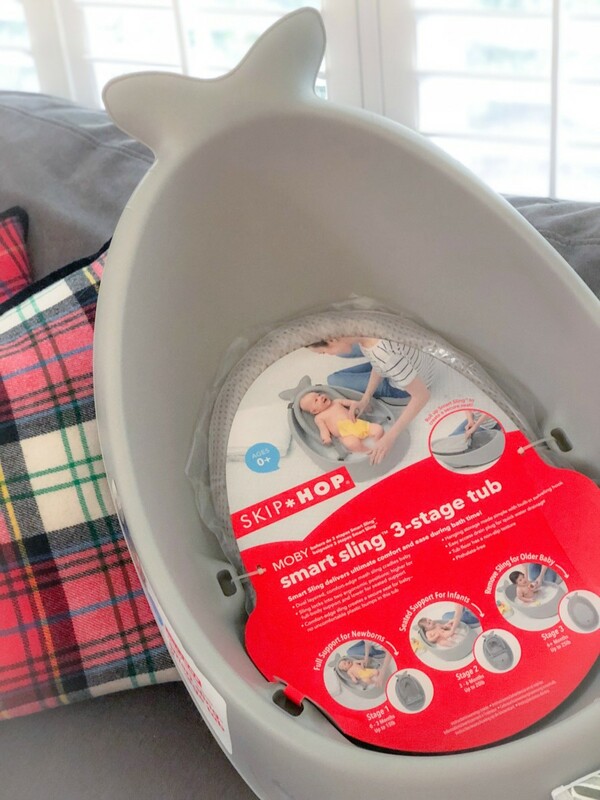 And as far as the bath goes, the Skip Hop Moby Smart Sling 3-Stage Tub is amazing! 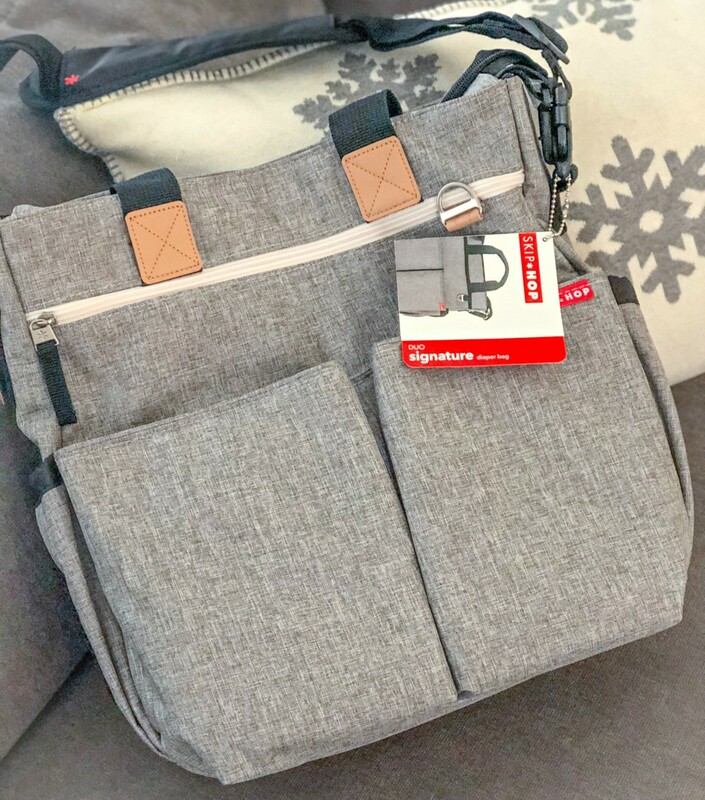 Diaper Bag: I&apos;ve been using Skip Hop since my first baby was born and I&apos;ve returned to this brand for diaper bags again and again. The updated Duo Signature bag is a good price point for a gift, yet doesn&apos;t skimp on fuction at all! You can easily wipe of spills and store all your necessities in all the oh so useful pockets. Playmat: Some of my favorite times with my babies were lying down next to them watching them play with all the doodads on their playmat. The Tiny Love Gymini Deluxe is a great one! This engaging activity mat comes outfitted with adujustable arches, lights, sounds, music and it&apos;s even machine washable. Those two words are like music to a mam&apos;s ears! 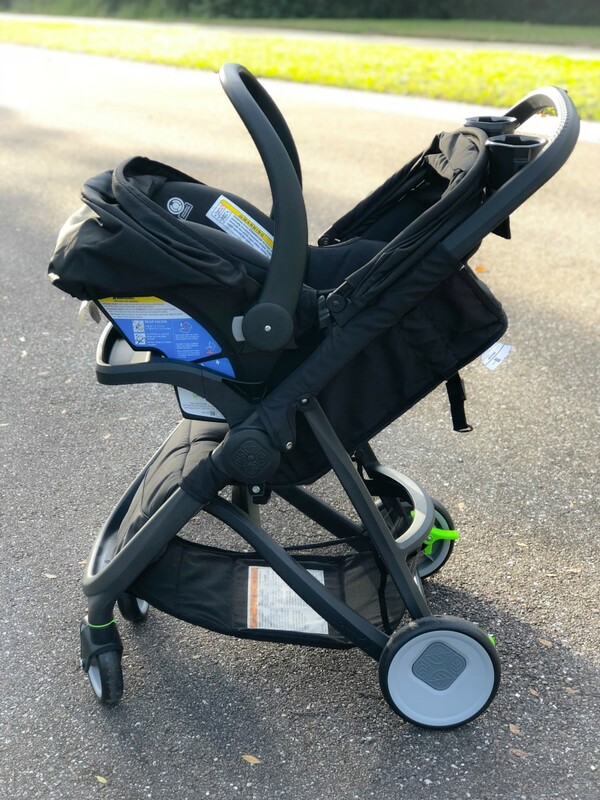 Travel System: They can shop for the fancy stroller, if they want one later, what&apos;s really helpful right away is a reliable travel system. Being able to seamlessly click the car seat into the stroller is clutch. 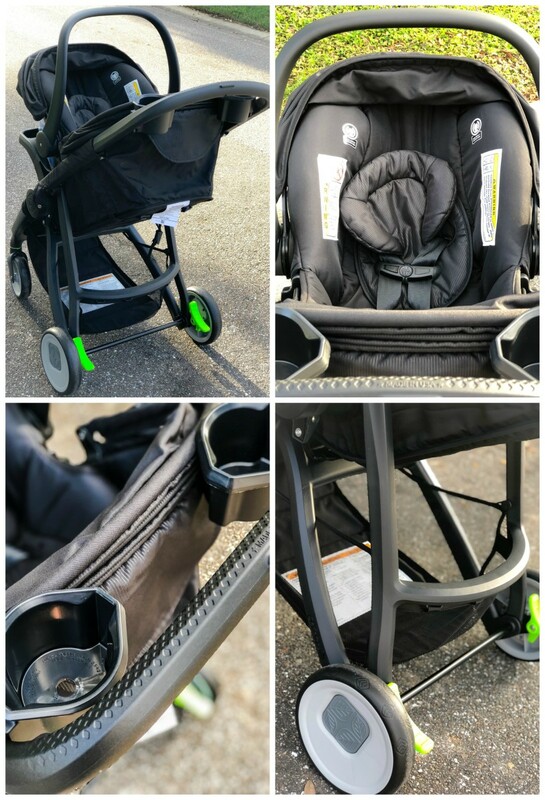 The Safety 1st Riva Travel System is a super solid choice. It&apos;s lightweight, compact and comes with machine washable fabric! And the infant car seat is top rated for safety which is, obviously, of utmost importance! Baby Monitor: Peace of mind is priceless and that&apos;s just what a baby monitor gives you. If the new parents can pry themselves away from the baby for a bit, they can rest easy thanks to a monitor like the Safety 1st HD Wifi Baby Monitor. The wide angle lens and ditital zoom are game changers! And thanks to the streaming, they can check in on baby from anywhere! Baby Gate: It&apos;s never to early to think about babyproofing. Safety 1st has always been a trusted source in baby safety for me and their gate is no different. In fact, Clint Harp, Spokesperson for Safety 1st and Craftsman, Author, Husband and Dad, has some incredible baby saftey tips that would be perfect to pass on to those new parents you&apos;re celebrating as would the Safety 1st Easy Read Forehead Thermometer. No new parent wants to fumble with a traditional thermometer in the middle of the night, but I digress...Let&apos;s get to those safety tips! Our homes are where our families spend so much of their time, and all of us parents have household items and rooms we need to keep toddlers away from for safety’s sake. After making it through the toddler years with three kids, I’m a pretty experienced babyproofer. But that’s not to say you have to be an expert to ensure your child is safe. I teamed up with the Safety 1st, a leader in child home safety products, to develop quick tips to help you baby proof your home like a pro. Let’s start in the kitchen – it’s the heart of the home and a high-traffic area filled with hazards. With all of the drawers, knobs, cabinets and appliances (essentially a playground for toddlers), it’s important to secure these items with safety locks and latches that are strong enough to withstand the pulls and tugs of children. The Safety 1st OutSmart™ Multi Use Lock has been rigorously tested to outlast determined toddlers and features a decoy button– the prominent, pushable button distracts, but doesn’t actually do anything. In fact, it hides the actual secret opening. Since proper installation of your locks and latches is essential to ensure children are protected the Safety 1st adhesive magnetic lock, which comes with a guided template that makes it easy to install correctly, is a great choice. Now on to the bathroom, which is a room that many parents overlook when it comes to babyproofing. Believe it or not, the bathroom is the most dangerous room in a home. The best way to keep young children out of the bathroom is with an exterior lock on the door. Another important measure is to install a toilet strap to keep them away from the water. And of course, make sure to store any medications, cleaning supplies and grooming items out of reach of your child. The family room is one of the busiest rooms in the home with some less obvious dangers for little ones. In fact, one of the most important measures is to securely strap furniture to a wall to prevent it from falling forward if toddlers hang or climb on it. Nothing is more curious to a toddler than a television. And they will touch it! The most secure strap should have a 3-point configuration to anchor the TV to furniture and then to the wall. Check out this option! Once your baby is on the move, stairs can be extraordinarily dangerous place in the home. Gates are a child safety device that need to be installed properly in order to keep kids protected. Pressure mounted gates, which are best at the bottom of stairs or to close off any room, lose pressure over time and require parents to regularly adjust for a secure close and fit. Safety 1st has the only gate options that provide parents with visual indicators to show when it’s time to tighten the pressure on their gates. Hardware mounted gates are a must for the top of stairs where pressure-mounted options just aren’t a safe option. Last, but certainly not least, parents need to pay close attention to the babyproofing products they select for their home. What most parents don’t know is that while many children’s product categories are strictly regulated, manufacturers of locks and latches used for childproofing are not currently held to any mandatory guidelines. Safety 1 is changing that with its Highest Standard in Safetycommitment, which is self-imposed manufacturing and testing standards. It’s important to do your research and make sure the babyproofing products you buy are high quality and will stand up to a strong and stubborn toddler. If you’re well prepared and have done your homework, babyproofing can be simple, easy and offer tremendous peace of mind. Feed them...One of the best things my loved ones did was show up at my house with food. When you&apos;re over tired and trying to get a hang of this whole parenting thing, the last thing you want to do is cook. This is a universal truth for all new parents. I don&apos;t think I had to cook a single meal the first two weeks after my baby came home and it was beyond glorious! Help with the nursery...Many adoptive parents have their nursery already set up, but that&apos;s not always the case. Sometimes things happen to fast to finish up those last minute nursery to dos. So, if there are walls to be painted, gear to be assembled or closets organized, make yourself available! Let bonding with their baby be the only thing on their plates right now! And if the nursery still needs some serious help, these tips from design expert, Veronica Valencia, courtesy of Tiny Love, are worth passing along too. First, kids learn through discovery. What they see, hear, feel, and find all impacts their development. That means the nursery has a lot to answer for. Let open and airy be your design philosophy for the room, and bold and bright be your plan for the toy chest. We know newborns see only in black and white with no depth perception – and side note, I’m with you babies. It’s my fave palette too. Color and three dimensional shapes come into focus around month five. That means pattern and color are essential to get their synapse firing in all the right ways as they grow. Yet, at night, when their brains need rest for their physical and mental development, serene and uncluttered is essential. To pull off this balancing act, I say stick with an overall room design that lets in the plenty of natural light, with mostly crisp whites and neutrals as the backdrop. You’ll have pops from all the playscapes to bring in plenty of color to light the room and your little one’s learning. The Tiny Princess Tales collection is a great option – with everything to bright and whimsical play mats, mobiles and toys. Next, make sure there are plenty of places to sit. 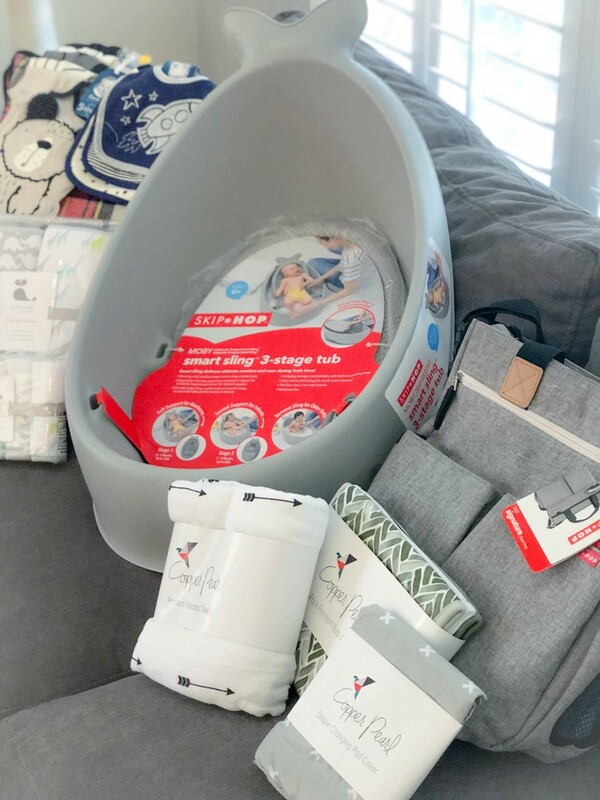 Everyone covers off on the glider, but in that first year, you’ll spend a lot of time in the nursery with your partner and all the family that flocks around your new arrival. Make it comfortable for two, this way parents or grandparents have a place to sit when they come to visit. It’s special to have them there with you in this space you’ve so carefully designed. Even if your nursery isn’t large, an extra pouf and overscale floor cushions are a perfect solution. 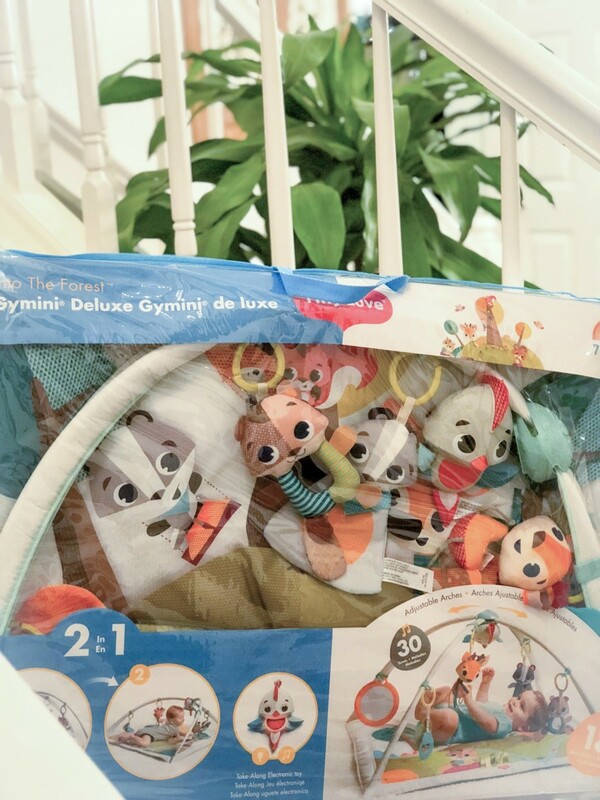 Even when company is not there, you’ll put them to good use during tummy time when your little oneis happily playing on his or her play mat, like this Tiny Love Into the Forest™ Gymini® Deluxe. If you have hardwood floors, a plush rug is important for crawling. Keep only on the floor what is safe for their hands. They are certain to find it. Have plenty of ways to keep them busy, like the brand-new Tiny Love 4-in-1 Here I Grow™ Mobile Activity Center, a rattle or a take-along mobile, so you have a moment or two to fold the laundry. I have three siblings and learned early from my mom that free play is sometimes your only hope at a free minute. Last up, make use of all the space. Kids have a lot of stuff. From what I can tell, half the battle of parenting is corralling all of it. Color-coated bins on low bookshelves or in the base of the closet help you and your littles one remember what goes where and makes them a part of clean-up time. Pick furniture that does double duty like a bed that has drawers or a toy chest with cushions that turn into a seat. If it’s in this room, it needs to help solve the “stuff factor” of the space. In conclusion, the most important thing you can do for new adoptive parents is follow their lead. Give them space if they need space or hunker down with them if that&apos;s what they prefer. No matter what just make them feel loved and supported because becoming a parent for the first time is one of the scariest, most emotional experiences a human being can have. Feeling like your village has your back means everything! 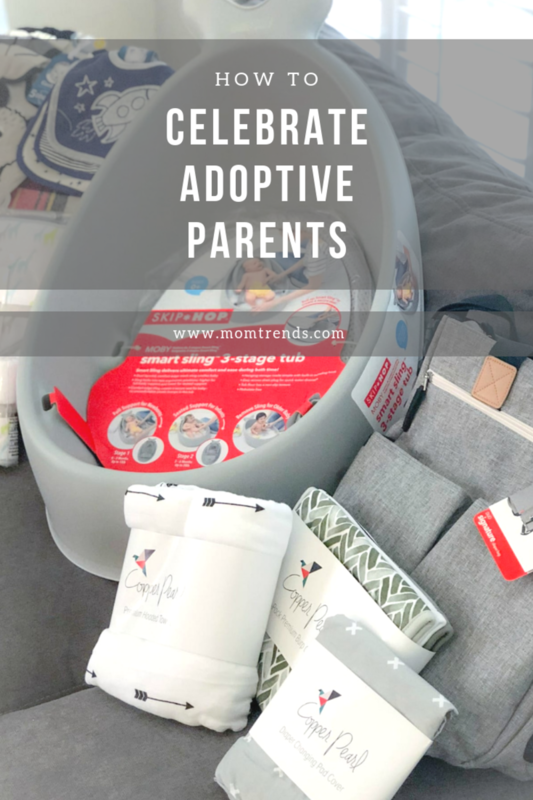 Once the celebrating is over, knowing how you can support adoptive parents as they continue on with their parenting journey will be all the more important! Now that you&apos;ve seen our tips for how to celebrate adoptive parents, for more parenting tricks, check out our pice on how to create a bullet journal. They&apos;re invaluable for busy parents!